Oh I am SOOOOOOOO excited by this month's challenge at ARTastic!....... and my first LO as a Design Team member. 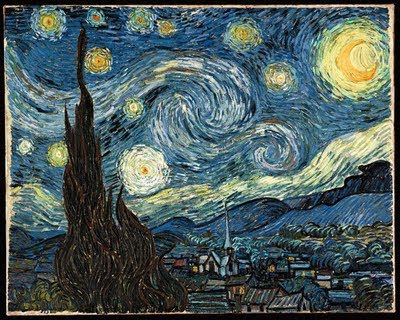 You can't go past this gorgeous Starry Night painting by Van Gogh for some inspiration to scrap a fabulous layout. I urge you all to head on over to the blog and take up the challenge. There are great prizes on offer ...... so get inspired and create!!! Go, go, go!! !